Joanna is an ultra marathoner, multiple time American Odyssey Relay and Old Glory Relay participant. 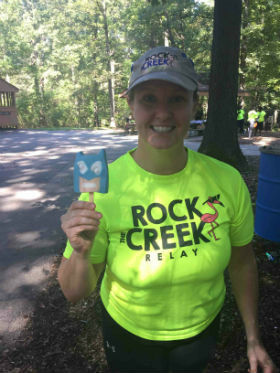 She is also the co-founder and co-race director of the Rock the Creek Relay. When she’s not answering the siren call of race directing, Joanna is an Ironman triathlete, proud military spouse, and Director of Academics at Veritas Prep. That’s a fancy way of saying she geeks out on psychometrics, is really good at standardized test taking and getting folks into college. And, in her spare time, Joanna is very active with her alma mater, Georgetown University, and sits on both the Team Red, White and Blue board of directors and the Women for Tri board of advisors. Robin is a runner – anything from a 10k to a marathon, multiple time Rock The Creek Relay participant and has run the sister race, the Reno-Tahoe Relay. 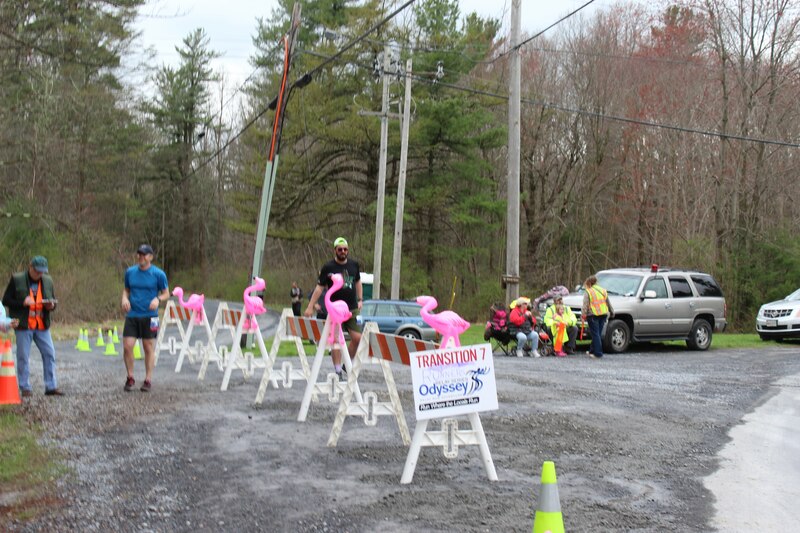 Robin has served as the race director for several area races including The Home Run 10k/5k. When not wearing her race director hat, Robin serves as the Director of Community Engagement and Events at Charles E. Smith Life Communities, organizing events and programs for the community. 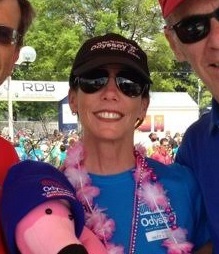 Robin became involved with American Odyssey Relay in 2017 and is so glad to be the Co-Race Director for American Odyssey Relay, Potomac Odyssey Relay and Rock The Creek Relay! Robin lives locally in Bethesda with her husband, two daughters and small dog. Adam is a adventurer – he travels around the country visiting our nation’s National Parks and all they have to offer. Adam has worked with multiple non-profits on their outdoors programs, leading hikes and camping trips. Chances are, if he has time off, you can find him on top of a mountain or camping. Otherwise, he is probably fine tuning his other passion, beer brewing. He recently accomplished a life-changing dream and became a brewmaster at a brewery. Adam started off as a volunteer for American Odyssey Relay in 2016 and is pumped to be a member of the official production staff. Becci is a community connector and network builder. With a background in education, and a passion for service in her community, you can often find her volunteering with youth, or local charities. Becci has worked with multiple non-profits on their organization and program development. Currently Becci works as the Director of Secondary Transition at the DC Special Education Cooperative, coordinating transition services for DC Charter Schools. She would describe it to others as “supporting schools and students in learning how to adult to become productive members of society.” In her spare time Becci enjoys supporting her District Triathlon Team, Achilles International, sits on the advisory panel for the Student Athlete Project, and is mastering the art of quilting. 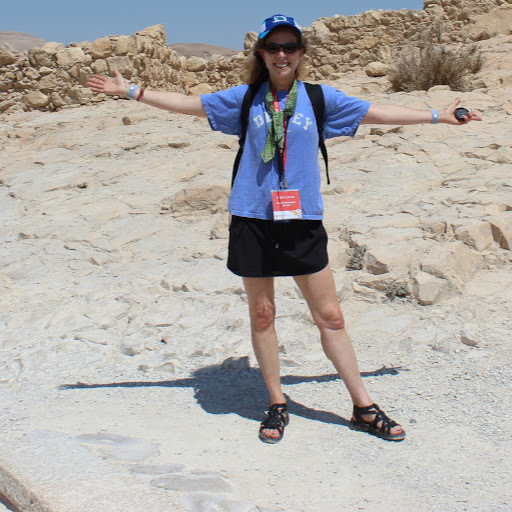 With experience running and staffing road relays, Becci joined us as a volunteer leader for American Odyssey in 2012. 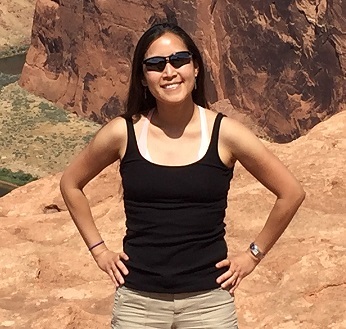 Those who have previously participated in the American Odyssey Relay know Kelly well. She’s the director of FUN. Kelly organizes volunteers and is out on the course the entire time making sure people are appropriately enjoying themselves! In the last year, Kelly’s wanderlust finally got the better of her and she became a flight attendant. But, in return for agreeing to provide a reference for her, we extricated a promise that she’d always take vacation days sufficient to join us. And, she will. 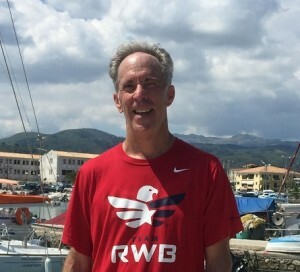 After almost 9 years as the owner, co-founder and race director for American Odyssey Relay and 3 years as the owner, co-founder and race director of Rock the Creek Relay, Bob decided to hang up his race director hat and sold both relays to Joanna and Robin. Back in 2005 Bob traded in his business casual clothes for shorts and race t-shirts. At any given time he had dozens of boxes of race stuff in his house. They now reside with Robin – stop by and take a look! Freddy joined the American Odyssey Relay in 2010 and may be the single most visible member of the entire American Odyssey Relay team. Freddy can most often be seen with Kelly, though others have kidnapped Freddy in the past. 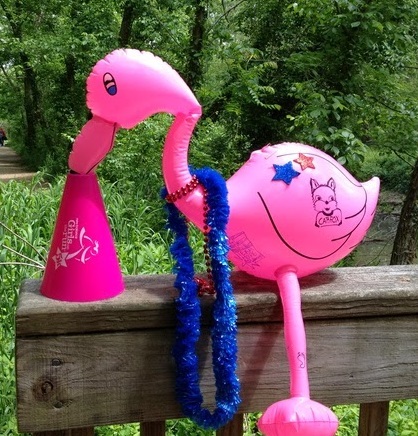 And, some have even spread rumors that Freddy has started a family. Freddy has been known to accept gifts from teams as long as they are not reportable as income.